I was driving into Minden this morning when I saw that the new Starbucks, the one I first found out about last summer, has finally opened for business. This new coffee shop is in the Ironwood Center at the north end of town, in the building that used to house Wendy’s. 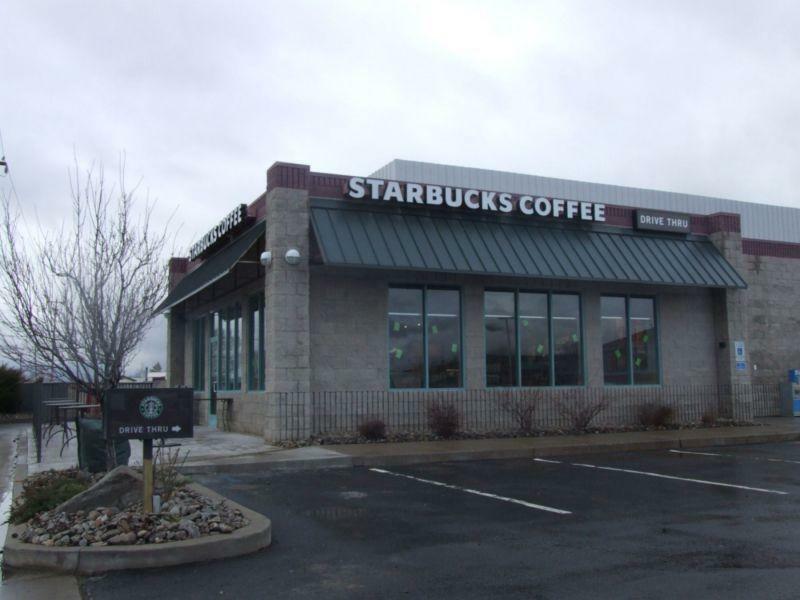 The building has been gutted and remodeled, and Starbuck’s takes up the front half, which was formerly the dining room. They’ve built a second storefront in the back half, that used to be the kitchen, complete with it’s own entrance door. But that space is still being worked on. I’ve heard rumors about a sandwich shop going in there, but nothing definite yet. 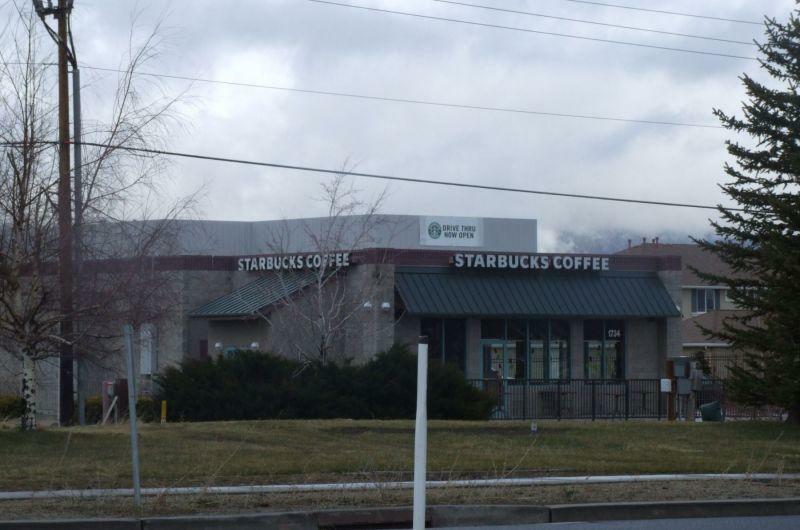 This is only the Carson Valley’s second Starbucks. It seems like we should have more, since we have one of the only Starbucks roasting plants in the country. But indeed it’s only the second store (not counting the one in the Carson Valley Plaza, which despite the name is actually in the Eagle Valley). It will be interesting to see how much traffic this new place gets. One of the complaints that the owner of Wendy’s always had was that customer counts were low because it’s so hard to get in and out of the shopping center. By the time you see the building, it’s too late; you’ve already missed the driveway. So if Starbucks gets a lot more business in the same location, what was really to blame for Wendy’s problems?